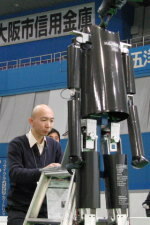 Large size (ADULT size) humanoid robot | Hajime Research Institute, Ltd.
Large size humanoid robots are adapted for research robots and entertainment robots. 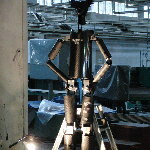 The robot frames are adopted the box structure made by aluminum sheet-metal to increase the rigidity and to reduce the weight. 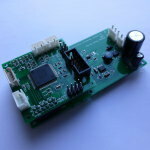 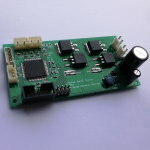 We use our original high torque actuator units (Maxon motor and Harmonicdrive gears) and our original motor control boards for our large size humanoid robots. 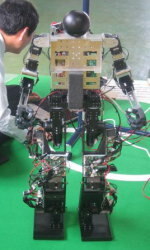 The feature of our large humanoid robot is that we achieved reducing the weight of the robot using the box structure frame, our original high torque actuator units, and our original motor control boards. 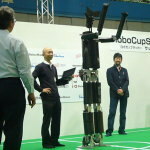 Large size humanoid robots will be made to order. 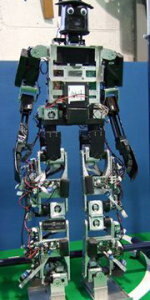 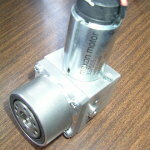 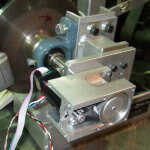 The following shows the specifications HAJIME ROBOT 33 as a sample robot.